Brinkhaus graduated from Loyola Law School where he earned a Juris Doctorate in 1960. Prior to that, he attended Sunset High School, Spring Hill College and the University of Southwestern Louisiana obtaining a B.A. in Liberal Arts in 1958. As a practicing attorney, Brinkhaus belongs to the St. Landry Parish, Louisiana and American Bar Associations, the American Judicature Society, the Louisiana Association of Defense Counsels and the Louisiana and American Trial Lawyers Associations. He has served on many boards, including the St. Landry Homestead Federal Savings Bank, Doctor’s Hospital, Opelousas-St. Landry Chamber of Commerce and South St. Landry Community Library. 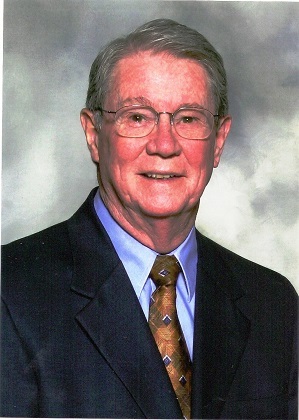 His civic and philanthropic activities include the Young Men’s Business Club of Sunset, Southwest Rehabilitation Center, Red Cross, Boy Scouts, Community Action Agency, Woodman of the World, Fourth Degree Knights of Columbus, Lions Club, Elks Club, Sunset Booster Club, St. Landry Parish and Louisiana Cattlemen’s Association and National Rifle Association. As a member of the Louisiana State House of Representatives from 1968 to 1976, Brinkhaus served on the Commission on French as a second language. In 1993, he was awarded the L’Ordre de la Pleiade for his distinguished dedication in the development of the French language and preservation of the Francophone culture in Louisiana. Serving in the Louisiana State Senate from 1976 to 1996, he served as Chairman of the Senate Education Committee, member of the Senate Finance and Senate Judiciary Committees, Senate School Finance Advisory Committee, Legislative Appropriations and Senate Executive Committees and of the Senate Agriculture Committee. As a long-time friend of the University of Southwestern Louisiana, now the University of Louisiana at Lafayette, he was the University’s “point man,”in the legislature and responsible for bringing millions of dollars to the university. Brinkhaus created the Dr. Armand L. And Julia Thoms Brinkhaus Fund to benefit Dupre Library at the University of Southwestern Louisiana, the first contribution dedicated solely and specifically to Dupre Library. Brinkhaus married Margaret Bellemin in 1957 and they are the parents of seven children.